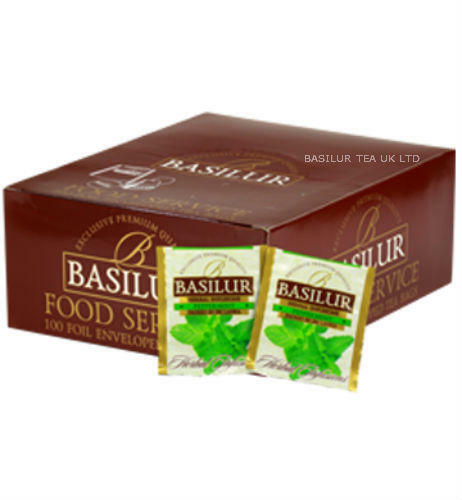 Inhale, taste and savour the soothing sensation of Basilur’s pure Peppermint leaves as you kick back and unwind. A perfect after-dinner beverage, which helps digestion with a refreshing end to a magnificent meal. Peppermint, which has been used for centuries in food and beverages is best consumed in its natural form to provide the true essence of its refreshing aroma and taste. 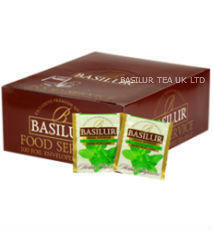 There is no tea in these blends, caffeine free! 100% pure Peppermint leaves, no additives.